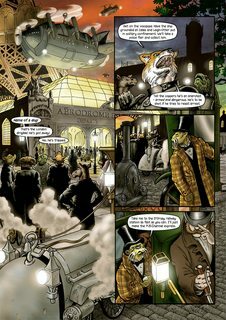 Bryan Talbot – Grandville (2009-2014) : Grandville is a Hugo Award nominated British graphic novel series written and drawn by Bryan Talbot. 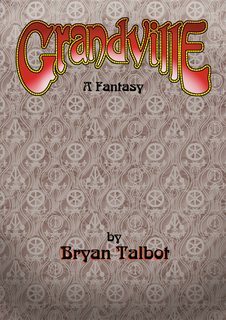 It is a mixture of the steampunk, alternative history and thriller genres. 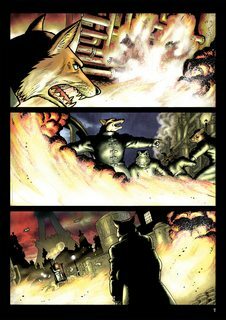 It is set in a world in which France won the Napoleonic Wars and invaded Britain, and in which the world is populated mostly by anthropomorphic animals. The main character is Detective Inspector Archibald “Archie” LeBrock of Scotland Yard, a British anthropomorphic badger.